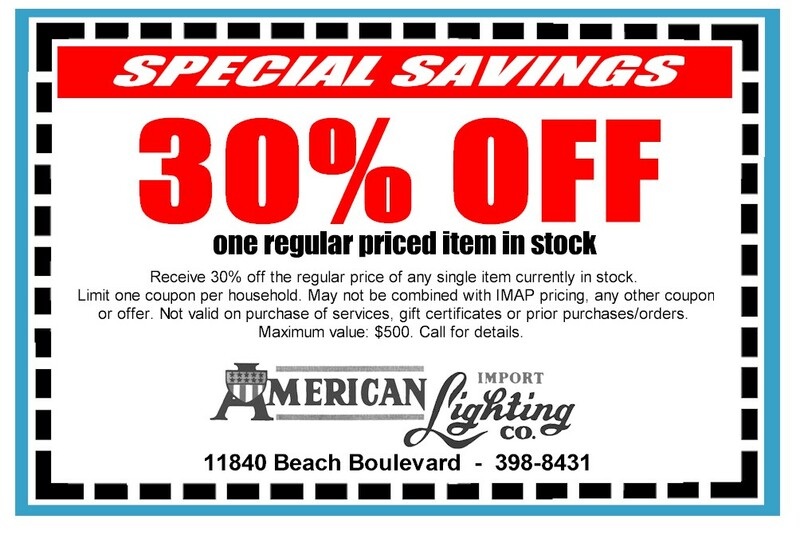 Make your home shine with lighting and accessories from American Import Lighting. We're one of Jacksonville's oldest and best regarded suppliers of lighting and decorating solutions. 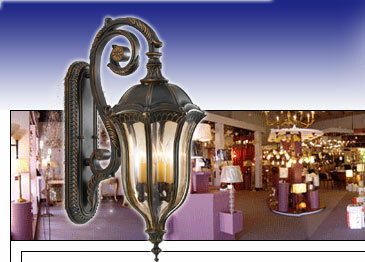 And though we may be the largest, American Import Lighting is still family run providing one-on-one hometown service. Our huge showroom features thousands of ideas that let you express any look and mood to compliment any decor. From traditional classics to modern motifs, whether you are looking for lighting, fans, lamps, accessories or even a special light bulb, our knowledgeable staff and design consultants will help you make the choice that's perfect for your home and your budget. We invite you to visit our grand showroom for a truly enlightening experience. > Click here for complete list of products. Copyright © 2019 American Import Lighting - Jacksonville, Florida. All rights reserved.